Eric, or Frost, as his friends call him, has found a safe group of friends at middle school. There's a D&D geek, a musician, and a would-be jock, and they work well together, until Rose shows up. Somehow, the presence of the confident new girl threatens the group dynamic that Eric depends on, especially since his parents' recent divorce. When a crisis of cell phone confiscation leads to a proliferation of sticky notes at school, it seems like everyone is forced to choose a side. There is a lot of extremely detailed, clever writing in this book. From the food to the clothes to the mood in the cafeteria, the sensation of feeling trapped or embarrassed or uncomfortable or just waiting for something to happen is all very genuine for a middle school setting. The main character is sitting on the fence, preferring, as he tells his English teacher during the study of Shakespeare, to be part of the chorus, rather than a tragic or comic hero. Although his inaction with regard to friendship and doing the right thing is the point, and readers will no doubt find uncomfortable connections to Eric along those lines, it is somewhat frustrating to keep reading so long before he makes choices that drive the plot, instead of responding to what's happening around him. The story is a study in bullying, and the characters, especially the protagonist, are guilty, in addition to being victims of it. Eric gives his Indian friend a nickname and comments that his real name is too difficult to pronounce, and multiple characters tease another friend about being gay and Eric does little to defend him. This makes the story more interesting than if the main character were completely virtuous, and provides lots of discussion points, but it's disappointing as a human being to travel this journey of icky treatment. It is also depressing that the narrator regards bullying and meanness as an inevitable part of human nature, but this could prompt some excellent thinking and conversations for readers. 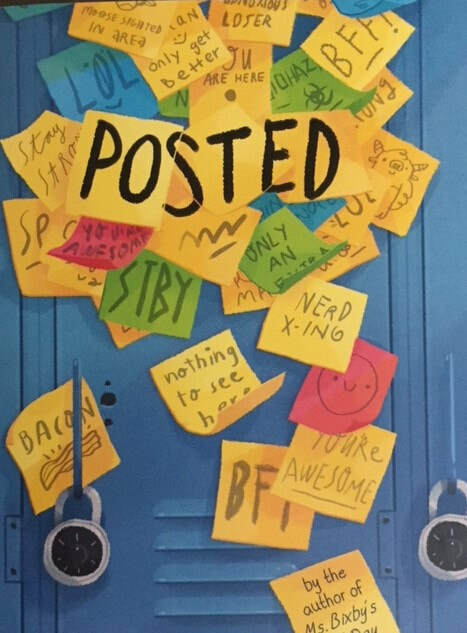 The sub-plot about Eric's athletic friend becoming more popular and moving away from their crowd is disappointingly realistic, and the analysis of this from a male perspective (lots of female protagonists deal with friends who ditch them for "cooler" friends as they get older) is a nice change in middle school books. "We have a shopping mall with a JC Penney and an Asian fusion place that everyone says they are dying to try even though it's been there for three years now. Most of our other restaurants are attached to gas stations, the kind that serve rubbery purple hot dogs and soda in buckets."